Located off New Highway 96 W and Downs Boulevard, the Spencer Hall Subdivision is a single-family home development in Franklin TN (Williamson County). Streets in Spencer Hall Subdivision include Annfield Way, Bishop's Way, Bruce Gardens Circle, Bush Drive, Milbank Lane and Vera Valley Drive. 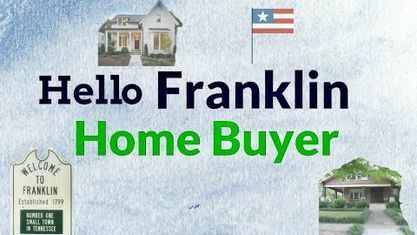 Other popular Franklin Subdivisions near Spencer Hall Subdivision include Barclay Place Subdivision, Benelli Park Subdivision, Blossom Park, Boyd Mill Estates Subdivision, Carawood Subdivision, Carlisle Subdivision, Clairmonte Subdivision, Cornerstone Subdivision, Downtown Franklin, Eastview Subdivision, Farnsworth Subdivision, Founders Pointe Subdivision, Franklin Green Subdivision, Idlewood Subdivision, Magnolia Place Subdivision, Reid Hill Commons Subdivision, Rizer Point, Rogersshire Subdivision, Twin Oaks Subdivision, Tywater Crossing Subdivision, Vandalia Subdivision, West End Circle Subdivision, West Meade Subdivision, Westfield Subdivision and Willowsprings Subdivision. View our selection of available properties in the Spencer Hall Subdivision area. Get to know Spencer Hall Subdivision better with our featured images and videos.